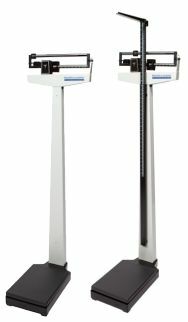 Health O Meter's mechanical physician scales have been the mainstay of doctors offices and medical establishments throughout the country for decades. Sturdy construction, powder coat finish and a 10 year warranty make it a great value as well. Options include height rods, transport wheels and counterweights to increase capacity from 390 pounds to 490 lbs.